HONG KONG, Mar, 01 2019 - (ACN Newswire) - Winners of the 2019 International Jewellery Design Excellence Award (IJDE) - a biennial competition often known as the "Oscars of the jewellery industry" - were announced at an award presentation ceremony held yesterday (28 February) during the cocktail reception of the 36th HKTDC Hong Kong International Jewellery Show. A total of 137 award-winning designers from 21 countries and regions participated in this year's competition, organised by the HKTDC and the Hong Kong Jewellers' & Goldsmiths' Association, Hong Kong Jewellery & Jade Manufacturers Association, Hong Kong Jewelry Manufacturers' Association and Diamond Federation of Hong Kong, China Ltd.
American designer Aleksandr Maryaskin won the highest honour, "Champion of the Champions", with his egg-shaped desktop decoration named "Discovery of Eggcellance". The "egg" can be twisted open to reveal a miniature church complex inspired by a traditional church the designer helped restore while living in Ukraine. Hong Kong designer Sarah Zhuang captured the Innovative and Uniqueness in Design Award. Her piece "Urban Reflection" incorporates Hong Kong's world-renowned skyline in a set of four rings, depicting the city's diverse architecture with ultra-modern skyscrapers juxtaposed against historical buildings. The rings can be worn together to form a picture of the iconic skyline with reflection. The Craftsmanship Award was presented to Ukrainian designer Borys Palamarchuk. His handmade, hot-enamel "Best Ring" features a round decorative piece with a diamond-studded golden rim and a koi carp that appears to be swimming lithely in the sunshine. The design symbolises the circulation of light energy, which in turn signifies luck, victory and hard work. It is also meant to represent self-sufficiency and moral courage. Swimming against the current, carp are associated with persistence and strength, as well as overcoming challenges and achieving goals. The koi carp, in particular, symbolise the pursuit of ambitious goals and success. German designer Michael Weggenmann won recognition with the Aesthetics Award for his piece "Stars in Heaven", which is meant to be "a declaration of love to the strong woman". The design exudes confidence and fascinates with breathtaking contrasts: a black stainless-steel ring with a fine 18-karat rose-gold design is set with a "mysterious" shiny pearl. The precious Tahitian cultured pearl with its iridescent shimmer contrasts the rustic charm of stainless steel. - Hong Kong designer Zhou Jianxiang's bangle "Freeze"
- Indian designer Anil Patel's ring "Fire of Hope". - Australian designer Roberto Mattei's ring "Contact". 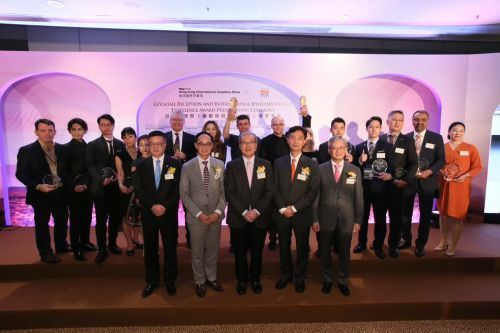 The judging panel included Lawrence Ma, Chairman of the HKTDC Hong Kong International Jewellery Show 2019 Fair Organising Committee; Jeff Chan, Specialist at Christie's Jewellery Department; Renaud Fonverne, President of MV Media SAS; Jeremy Keight, Managing Director at Jewellery World; Priscilla Ku, Managing Director at Bossku Investments Ltd.; Giovanni Micera, Director at Preziosa Magazine; Rinri Mizuno, Director at the Hiko Mizuno College of Jewelry; and Diana Zhang, the first female Asian jewellery designer to present at the world-famous Paris Biennale des Antiquaires. Mr Ma, Chief Judge of the IJDE, said the Hong Kong International Jewellery Show is a major global industry event gathering exhibitors from all around the world. Designers taking part in the biennial IJDE Award have also been pushing boundaries in recent years, making it a high-quality competition. "This year's entries are excellent, gathering award-winning entries of jewellery design competitions from around the world. 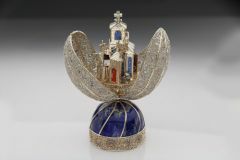 Designers have expressed the cultures of different places through their jewellery design. I have seen many designs with extraordinary creativity, craftsmanship and aesthetics in the competition." Another judge, Priscilla Ku, said: "Jewellery design is not only about aesthetics, as it also requires soul in the design. I am happy to see the stories and ideas behind every design. The entries this year set a high standard. All of the designers made efforts in breaking through current design standards with the use of challenging materials and craftsmanship. The competition provides a platform for jewellery designers to showcase their designs." 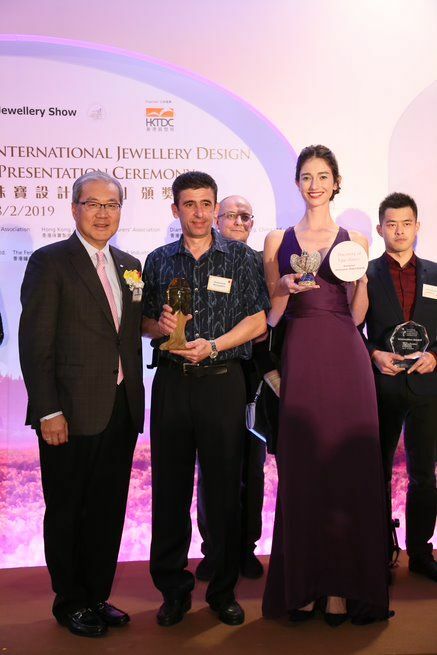 The biennial IJDE Award gathers award-winning designers from all over the world to compete for a number of accolades that honour outstanding jewellery designers and provides an opportunity for the industry to exchange experiences, expertise and craftsmanship. The winning entries are now on display at the Hall 1D concourse during the 36th HKTDC Hong Kong International Jewellery Show at the Hong Kong Convention and Exhibition Centre. Organised by the HKTDC, the sixth edition of Hong Kong International Diamond, Gem & Pearl Show, which specialises in showcasing raw materials for jewellery, runs from 26 February to 2 March at AsiaWorld-Expo, while the Jewellery Show runs from 28 February to 4 March. The two shows attracted a record of more than 4,600 exhibitors from 48 countries and regions in 2019, creating the world's largest jewellery trading platform. 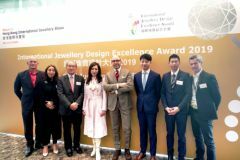 The 2019 International Jewellery Design Excellence (IJDE) Awards were announced on 28 February. The winning pieces are now on display at the Hall 1D concourse during the 36th HKTDC Hong Kong International Jewellery Show.